These are the general terms and conditions of trade for pigasus-gallery and their clients. The current version at the time of ordering will be the valid version at all times. No other conditions will be accepted by pigasus-gallery, unless pigasus-gallery has given explicit permission in writing for each separate incident. The goods displayed on our online presence are without obligation. A sales contract comes into being only after the order confirmation by pigasus-gallery. The acceptance of the order is conditional the legal allowance of the material and also of the availability of the ordered goods. Especially deliveries by our own suppliers shall be reserved. When pigasus-gallery cannot accept the client offer, the client shall be informed of this unavailability. Any services already rendered by the client shall be refunded immediately. Our prices are subject to the legal Value Added Tax. There will be a charge for shipping costs and packaging, as mentioned on the website: Shipping costs or a variable charge communicated in another way. If not specified otherwise, the delivery will take place immediately after receipt of payment to the adress which the client notes at the submission of the order. 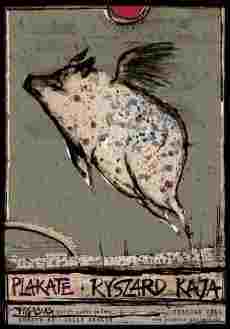 Pigasus-gallery will deliver the goods under the conditions agreed with the client. Pigasus-gallery will deliver the merchandise to the client as agreed with and specified by the client. Specifications as to shipping times and durations are to be taken as estimates, and are in no way binding – unless pigasus-gallery made a binding promise in writing, by way of exception. pigasus-gallery accepts the payment options that are made known during the placing of the order (bank transfer, PayPal, Cash). You will be presented with all necessary our bank details to bank transfer after checkout is complete. The shipment of the goods will follow after the receipt of payment in our account. The shipment of the goods will follow after the receipt of payment in our PayPal account. You basically can pay cash by pick up in our gallery: pigasus gallery | Danziger Str. 52 | 10435 Berlin | +49 (0) 30 28 49 36 97, . Payments from non-EU states are only possible with PayPal. 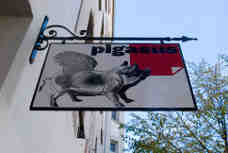 Pigasus-gallery remains the legal proprietor of the delivered merchandise until full payment is made. Pigasus gallery shall have 14 days from the date of receipt of the returned goods for crediting the Customer with an amount equal to the purchase price of these goods and their shipping costs. Unless both sides agree otherwise, the refund will be issued in the same currency used by the Customer to purchase the goods. Please note that goods cannot be returned, unless they have remained in their original wrapping. The client placing the order is to be informed in detail about the means, amplitude, place and purpose of the collection, processing and use of personal data, that were necessary for the carrying out of the order or the registration of the email messaging service (see: Privacy Notice). The client agrees to this collection, processing and use of personal data explicitly. Pigasus-gallery commits itself to use the collected data only for company internal actions. The law of the Federal Republic of Germany prevails, with exclusion of the UN law on the international sales of goods. Translations of the terms and conditions into other languages are categorically only meant as a non-binding service, binding are only the terms and conditions in the German language.